Saudi Summit Follow up and Thank you! 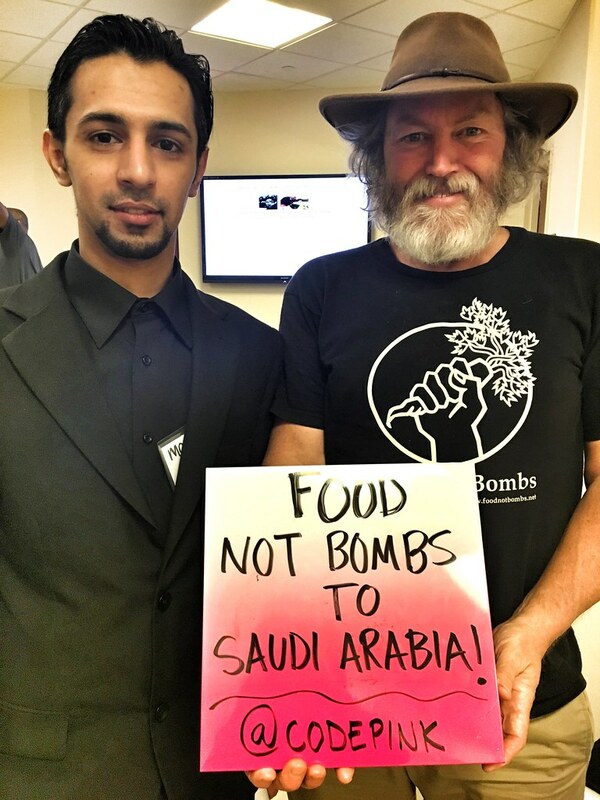 On behalf of the entire CODEPINK team, we would like to thank you so much for attending the historic CODEPINK Saudi Summit this weekend. We had a wonderful turnout (over 250 participants) and excellent audience participation throughout the weekend! Videos of all of the summit panels are available online via the Real News Network. Please fill out this survey to give us feedback about the conference! Check out this great coverage of the summit in Ben Norton's article in Salon. We will be putting you in touch with members of your breakout groups in a separate email as soon as possible. We’re looking for someone to run our campaign targeting US weapons sales to Saudi Arabia. If you or anyone you know is interested in the position (based in DC), please send an email with information to Alli@codepink.org. If you can’t take on a full-time job but want to volunteer to work on the campaigns with us, email Alli but please specify what you would like to work on. Check out our CODEPINK website with petitions and resources to learn more about Saudi Arabia. We are thrilled to have announced the campaign that came out of the summit to end weapons sales to Saudi Arabia. The summit was just the start of a broad-based coalition effort. There is a lot of work still to be done, and we need all of you! Please email Alli@codepink.org with any follow up questions, comments, or concerns from the summit. PS: Keep an eye out for Medea’s new book on Saudi Arabia that will be published in late May, which will incorporate a lot of the amazing information raised by our speakers and participants this weekend!